With Nvidia finally taking the wraps off their new GeForce GTX 950 graphics card, MSI released a trio of cards based on the piping hot new GPU. The three cards, the MSI GTX 950 Gaming 2G, the MSI GTX 950 2GD5T OC, and the MSI GTX 950 2GD5 OC will make up MSI’s launch lineup. The MSI GTX 950 Gaming 2G will feature MSI’s renowned Twin Frozr V cooler with a slight overclock over the reference design, the MSI GTX 950 2GD5 “Armor 2X” OC edition will come with a factory overclock and a black/white dual-fan cooler to match the design of MSI’s Krait edition motherboards, and lastly the GTX 950 2GD5 OC will be factory overclocked but will utilize the stock cooler. The Nvidia GeForce GTX950 is Nvidia’s latest mid-range gaming GPU based on the 28nm GM206 Maxwell architecture. It comes with 768 CUDA cores, 48 Texture Units, 32 ROPs, a 128-bit memory interface, and supports up to 2 GB of GDDR5. The Nvidia GTX950 is designed to be a cost-effective, budget upgrade competing directly with AMD’s Radeon R9 370. 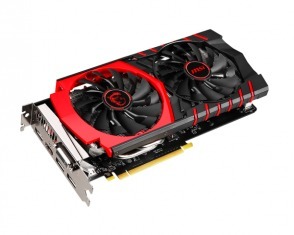 Currently the MSI GTX950 Gaming 2G and the MSI GTX 950 Armor2X can be found online for ~$159.99 and ~$169.99. The reference Nvidia GeForce GTX950 is expected to retail for around ~$150. 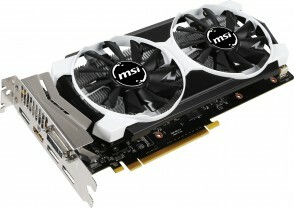 For a limited time, MSI’s GTX950 Gaming 2GB graphic cards also comes bundled with Final Fantasy Type-0 HD for free. This promotion will expire on September 30.